Right before my sophomore year of college, I went from being a carefree college student to someone who had to manage anywhere between 15 and 52 pills, supplements, and intravenous medications to push through a PICC line (Peripherally Inserted Central Catheter). This was right after I was diagnosed with Chronic Neurological Lyme disease and co-infections. My friends call me a “Professional Patient” because my pharmacist knows me by name, I am always going to my next doctor’s appointment, and organizing my weekly medication takes an hour every Sunday. But if you look me at me, I look like a healthy 22 year old woman who is just trying to manage her meds and a growing young business, Mighty Well… welcome to the life of a spoonie*. 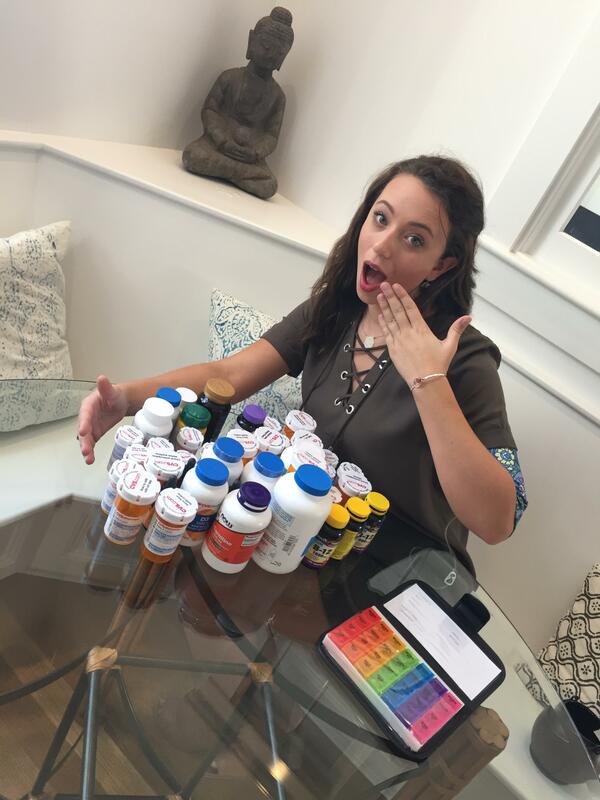 I found it difficult to manage taking all of these medications, my classes, business meetings, doctors appointments, and frequent trips to the pharmacy. THEN A FRIEND TOLD ME ABOUT MEDISAFE AND IT INSTANTLY MADE MY LIFE SO MUCH EASIER. Before, I had to set six different alarms on my phone, and they would often go off in class, and to say the least, my classmates, and definitely my professors, did not appreciate it. 2) LEARN ABOUT THE MEDICATIONS I WAS TAKING, INSTEAD OF SPENDING EVEN MORE TIME AT THE PHARMACY. It was also peace of mind for my mom, since she was a hour and a half drive away and she was hesitant to let me go back to school with a PICC line and all of my medications. But with the app, she was notified when I didn’t take my medication. She could let me go off and be a college student, while still looking after me from home. For me, Medisafe is my alarm in the morning, my medical diary, and the best place for me to learn more about my ever changing cycle of medication. … Excuse me while I go take my medication. *Spoonie: What chronic illness patients call themselves. Usually refers to young people who have invisible chronic illness. 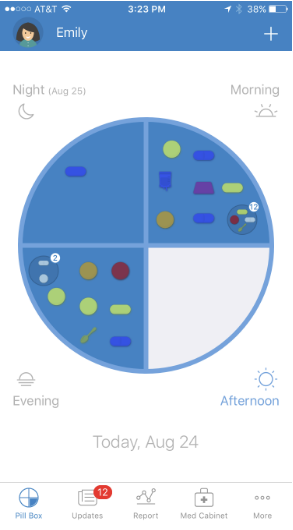 We are so excited to share that we have launched Mighty MedCase to help you better manage your medications. Check out the Shop to learn more.